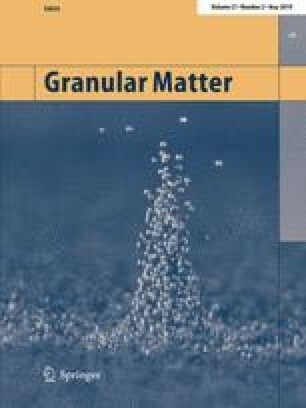 Granular crystallisation is an important phenomenon whereby ordered packing structures form in granular matter under vibration. However, compared with the well-developed principles of crystallisation at the atomic scale, crystallisation in granular matter remains relatively poorly understood. To investigate this behaviour further and bridge the fields of granular matter and materials science, we simulated mono-dispersed spheres confined in cylindrical containers to study their structural dynamics during vibration. By applying adequate vibration, disorder-to-order transitions were induced. Such transitions were characterised at the particle scale through bond orientation order parameters. As a result, emergent crystallisation was indicated by the enhancement of the local order of individual particles and the number of ordered particles. The observed heterogeneous crystallisation was characterised by the evolution of the spatial distributions via coarse-graining the order index. Crystalline regimes epitaxially grew from templates formed near the container walls during vibration, here termed the wall effect. By varying the geometrical dimensions of cylindrical containers, the obtained crystallised structures were found to differ at the cylindrical wall zone and the planar bottom wall zone. The formed packing structures were quantitatively compared to X-ray tomography results using again these order parameters. The findings here provide a microscopic perspective for developing laws governing structural dynamics in granular matter.